Thermally fused high performance laminate remains attractive and durable for years. 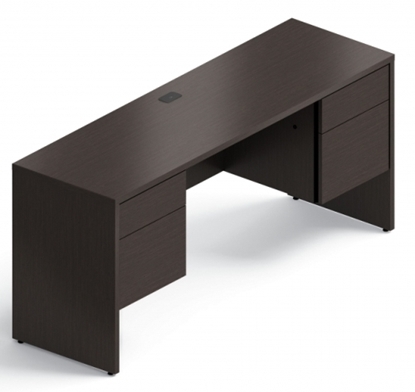 In-Stock finishes: Dark Espresso & Quartered Mahogany. Other finishes: 3-4 week lead time. 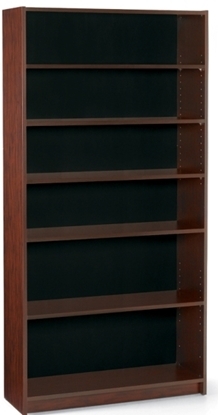 72 inch high laminate bookcase featuring sturdy 36" wide construction, four adjustable shelves and one fixed heavy duty shelf.